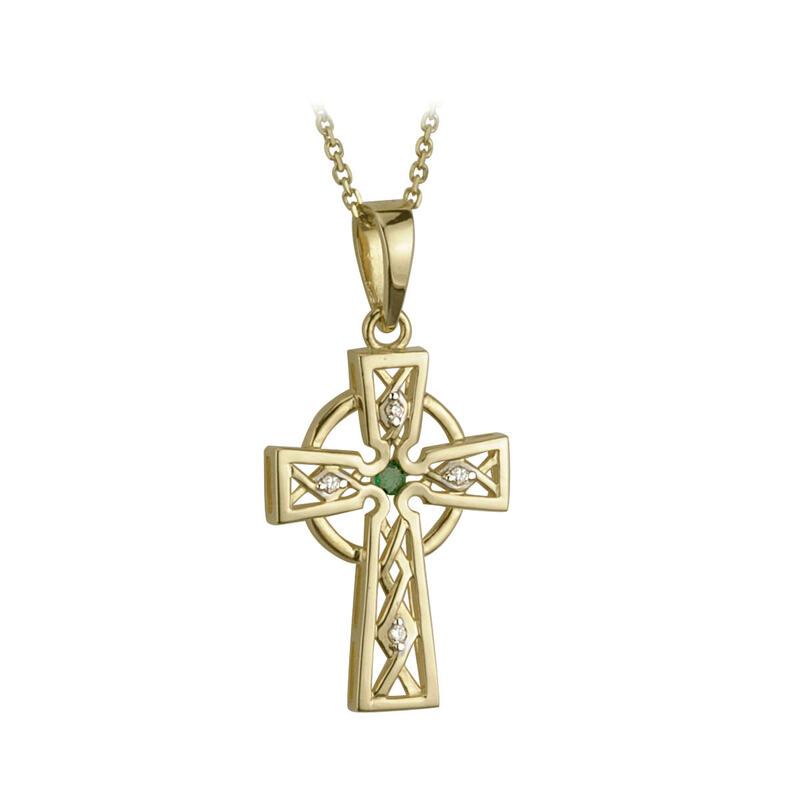 Beautiful emerald and diamond 14k yellow gold Celtic cross handmade in Ireland. 14mm wide and 28mm high (including bale). Set with four H/Si round brilliant diamonds and a center emerald gemstone. Comes with 18 inch gold chain. Handmade and hallmarked in Ireland.